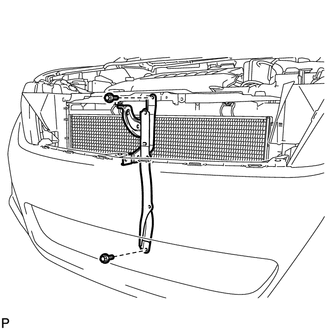 (b) Remove the 2 bolts and hood lock support support sub-assembly. 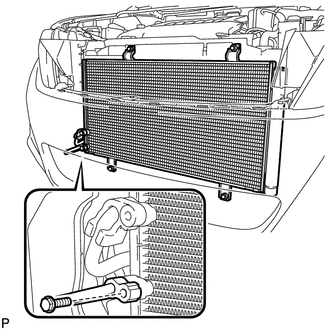 (a) Remove the bolt and disconnect the cooler refrigerant discharge hose from the condenser. (b) Remove the O-ring from the cooler refrigerant discharge hose. 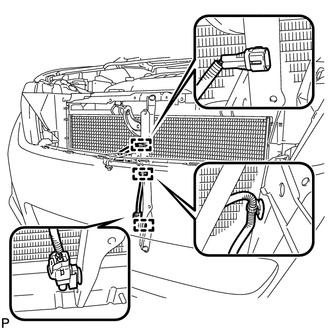 (a) Remove the bolt and disconnect the air conditioning tube and accessory assembly. 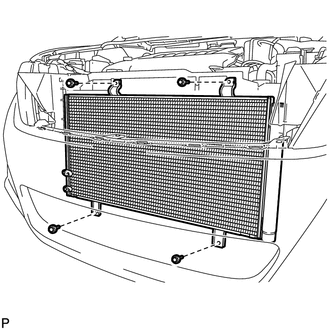 (a) Remove the 4 bolts and cooler condenser assembly as shown in the illustration.